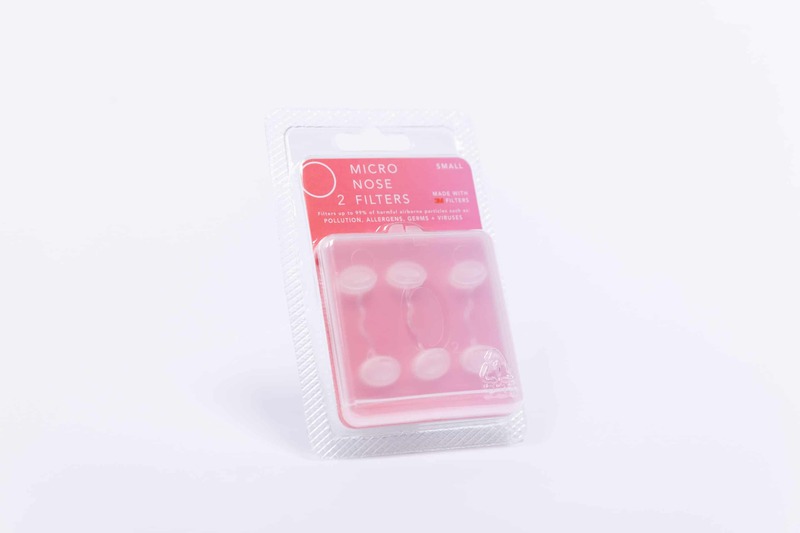 Designed to fit discreetly and comfortably inside the nostril to provide effective protection. Comes in extra small, small, medium or large sizes. This box contains 3 filters and a travel case. 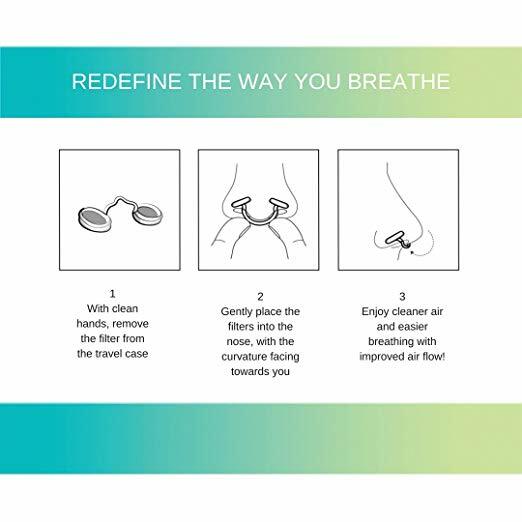 Redefine the way you breathe. 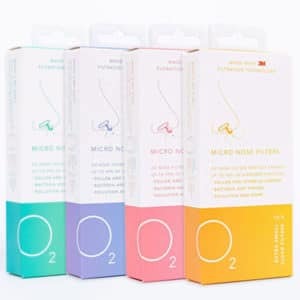 O2 Nose Filters provide effective protection against the inhalation of airborne pollution, allergens, particles, and more for up to 12 hours. 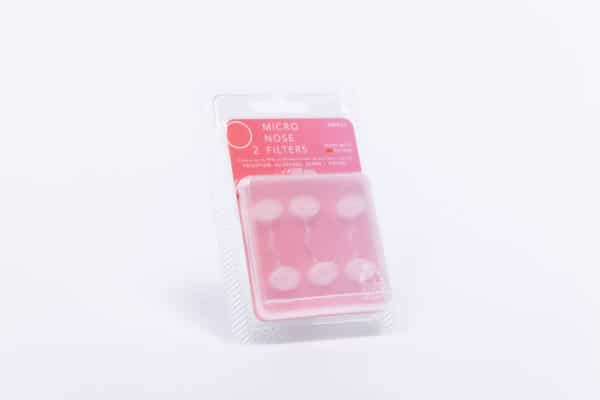 With the correct fit, O2 Nose Filters offer substantially better protection than masks and do not inhibit conversation. They are great for the work place – such as construction sites or dental offices – and can also be used for everyday protection against car exhausts, airborne viruses and germs and outdoor allergens or pet dander. 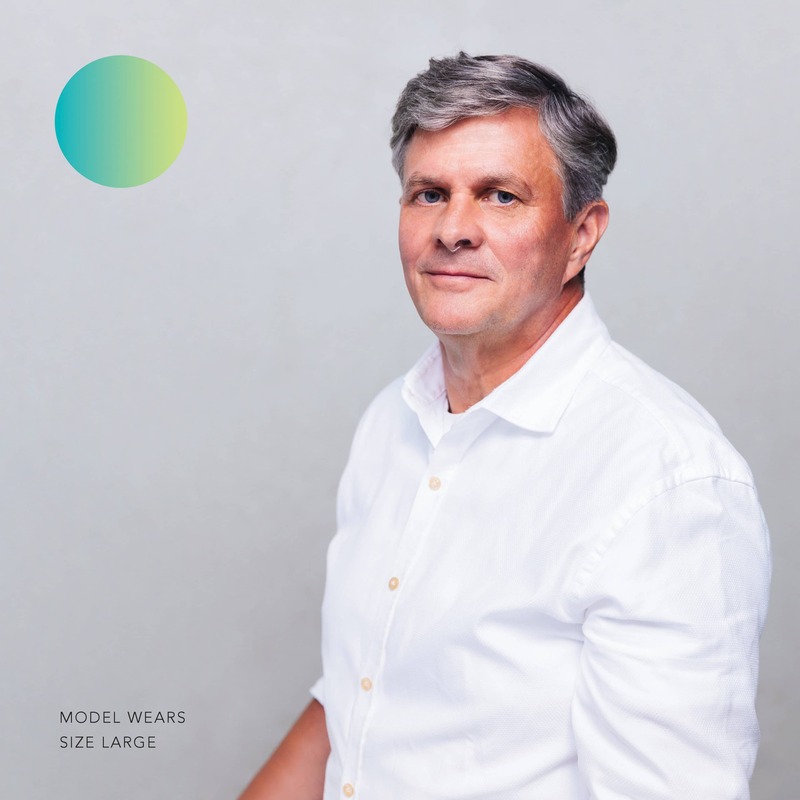 Note: Image shown is size small.